Good evening, Geek Nation. Welcome back to the TV Week That Was. There are some television programming to talk about this week. First off, what is wrong with the Walking Dead? This season has been fairly weak so far as they have entered all out war with Negan. You wouldn’t think that this would make things duller, but it seems as if it has. The show brought back a character from season one at the end of the program one week, Morales, only to kill said character in an anticlimactic manner the very next episode (and only about 15 minutes into it.) Morgan has seemed to be reverting to his past stage, tossing aside any character development we saw from him over the last two seasons. They keep killing off characters that we don’t have much attachment to, expecting it to mean something to us. Worse of all, they allow Gregory back into the Hilltop despite his clearly lack of loyalty. When he betrays you AGAIN please don’t come crying to me. It has been several episodes since we have seen Negan. Season eight has been a mess so far. Hopefully, things will start to straighten themselves out. Speaking of a mess, The Inhumans ended its 8-episode run this Friday night with an okay episode. However, I, for one, found Black Bolt leaving his brother stranded in a bunker on the moon as the city collapsed around him to be a bit less than heroic. I understand that they did not want to kill of Maximus and he had done some terrible things, but perhaps he could have been stranded accidentally… presumed to be dead… instead of making Black Bolt be the one to carry out the sentence. Plus, there were several questions that were raised in the series that, I believe, will never be answered since I cannot believe that this series will get a season 2. Now, the Inhumans have moved to earth, and we know the Asgardians are on their way to earth as well. Hm… hope there is enough space. I also want to call out how weak of a death it was for poor Henry Ian Cusick. He was killed by the reanimated Gorgon, and, honestly, no one even gave a single crap. Was I wrong, but he was truly an innocent bystander in this, right? I mean, he was manipulated by Maximus, but he was not evil and I thought he deserved better. Olivia Pope is officially evil now. Any semblance to the Olivia Pope from the first several seasons of Scandal is gone now. It was revealed this week that Olivia was actually behind the plane explosion and the murder of the foreign leader and his daughter. Then, she spent the whole episode trying to keep the rest of her friends from finding the missing Quinn because she thought Quinn was going to reveal the truth about Olivia. Turns out, Quinn was truly kidnapped. I’m sorry, but I think that Olivia Pope died back when she was kidnapped and they replaced her with a Skrull. That is the only explanation for the character assassination that has gone on with her since that horrible storyline. A lot of complaining going on this week. Let’s hit on some positives. 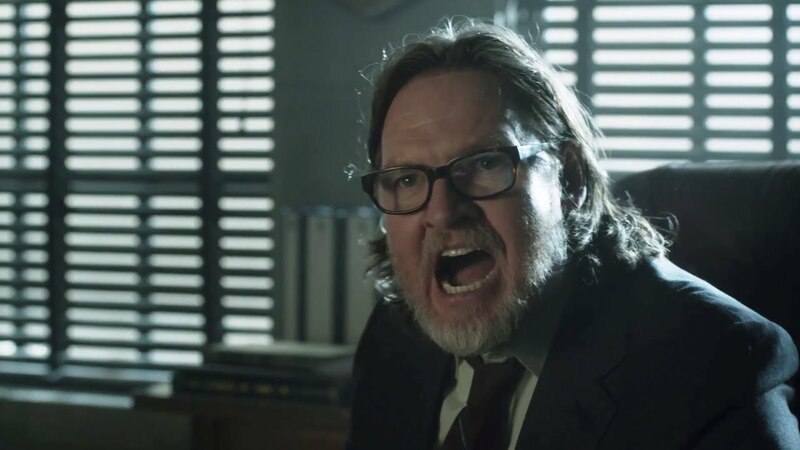 Gotham continues its hot streak as the James Gordon-Harvey Bullock feud rages on. This week, Jim has officially replaced Harvey as police captain of the GCPD and Harvey was not too pleased about it. Some may see this as the first step to creating Commissioner Gordon, however, the fact that Jim is beholden to Sofia Falcone. This is certainly leading to bad things. How to Get Away With Murder is in high speed right now, heading dramatically towards its mid-season finale and an explanation of exactly what is happening. Whatever it is, it is going to be terrible. It was tough to see Connor get blindsided with the truth. Especially after he had spent the whole season in the sad world and he had finally found his smile. I am afraid for his fate in the upcoming episode because that it an awful lot of blood in those flash-forwards and it must belong to someone. Riverdale seems to be fast forwarding its story as well and it is doing what it can to trash the relationship between Betty and Jughead. The fans of “Bughead” took it hard as the Black Hood apparently has some kind of Jones for Betty and then proceeds to threaten her family (including her sister) with murder if she did not break up with Jughead. Then, Jughead kissed the Serpent Toni in some kind of rebound kiss thing. I am not sure I am too happy with the way the Black Hood has moved forward and it does feel like these characters change to fit whatever the plot of the show needs them to do. Still, Riverdale is a continually interesting show and a must watch. There was a fun cameo by Arsenio Hall this week on ABC’s The Mayor. Arsenio played a reverend who was trying to get Courtney’s mother, Dina (Yvette Nicole Brown), to join his church’s choir. The Mayor has been a fun show each week, but it has never had that really awesome episode that places it on the map. It is a consistently good show though so maybe if we continue to get some more of Arsenio Hall, who knows where The Mayor may go. Tuesday night saw the crowning of a new WWE Champion on Smackdown, and it was awesome! A.J. Styles defeated “The Modern Day Maharaja” Jinder Mahal for the title. I was so excited when the hand hit the mat for the count of three that I yelled out and applauded. It has been a long time since I reacted to WWE television in that manner. I had hoped that this title change would happen for many reasons, chief among them being that I really like AJ Styles’s work. But even more so was that now, next weekend at Survivor Series, AJ Styles will be in a Champion vs. Champion non-title match against Brock Lesnar. This could be a match of the year candidate. And perhaps the most consistently entertaining and weird show on television right now is Dirk Gentley’s Holistic Detective Agency. Dirk, whose motto has always been that “everything is connected” and has said that all he has to do is wait until everything come to him, has begun to find the coincidental aspect of his fate annoying, and it is extremely funny. Seeing Dirk react to the major coincidences as if they are doing it just to spite him is extraordinarily funny. The show also has great side characters that it spends time developing. 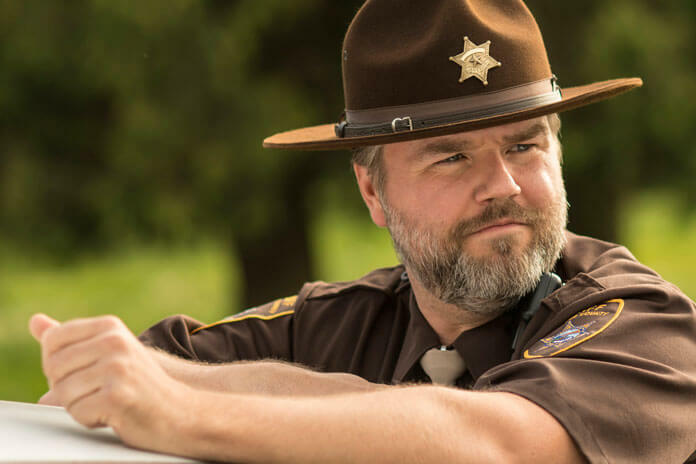 I am very concerned that we just lost Sheriff Sherlock Hobbs this week. Hobbs has been one of my most favorite additions to season two and I hope that he has not been killed off, as I fear. This upcoming week will see the Netflix debut of The Punisher! That should be brutal. We also see the Winter finales of both How to Get Away with Murder and Skrull Olivia.